Would you like to learn how to trade stocks, futures or forex online? 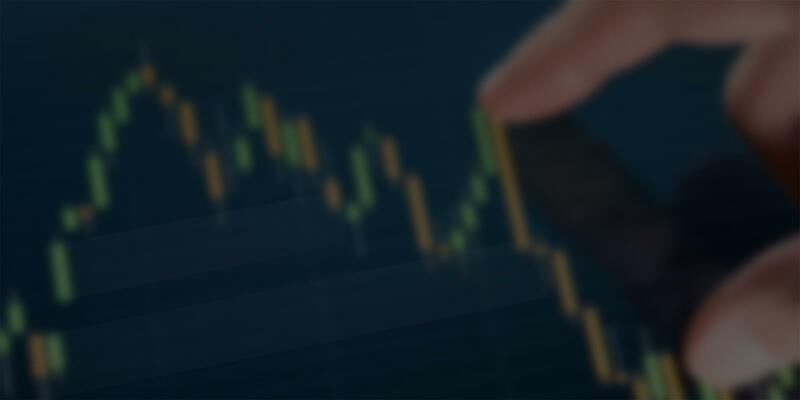 Pure Financial Academy has been assisting individuals with reaching their goals in the financial markets since 2009 by teaching effective trading education strategies for multiple asset classes. The methodology encompassed in these strategies is applicable to day and long-term trading analysis. 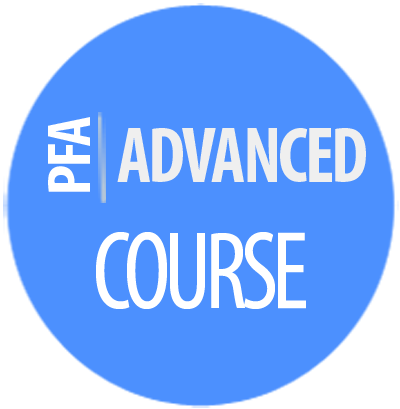 ALL OF THE ABOVE AND MORE, NOW INCLUDED IN THE PFA COMMUNITY. Each instrument has its own characteristics such as cost per tick or pip, time tradable and symbol (traded name of instrument). However, the strategies used are applicable to most markets. Pure Financial Academy’s Pro Trader Education teaches trading strategies on Stocks, Futures and Forex markets in a single program. PFA’s program is structured to provide individuals in-depth knowledge to benefit them in the financial markets without having to pay additionally for each asset class. A trader who buys or sells a financial instrument and closes their position before the market close of the same day. Provided the limited time for closing a position, this style is considered more aggressive and requires an active approach. This type of trader is one that buys or sells a financial instrument with the intentions of holding the position over-night up to a period of one year. 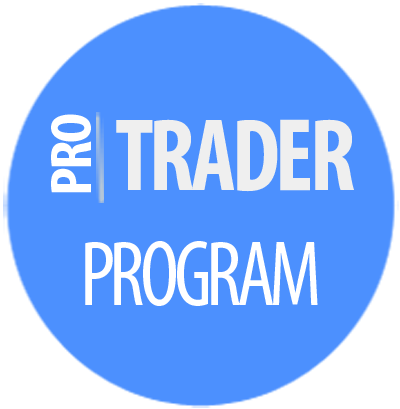 He or She will place fewer trades with less time spent actively trading. The pungency of time will be spent managing the open positions. Trades held for a period of one year or more are generally considered investments. An investor buys or sells with the intentions of holding their position for a better price in the distant future. This method is more often used by investors to maximize their portfolio gains with very little trading activity. Learn supply and demand methodology that can be used to trade stocks, futures and forex in the online course. How-to videos, pdf, tutorials and quizzes will help you build your advanced foundation for trading the financial markets. Begin your trading education at any time and have unlimited access 24/7 to review at your convenience. 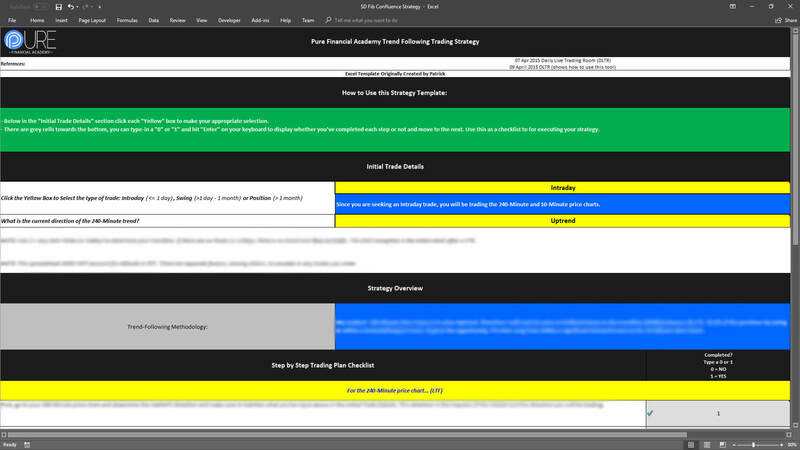 The course(s) will take you through each aspect of the education in a step by step outline and concludes with a complete example trade plan adjustable to each style; Intra-day, Swing or Long-Term. Each day (Tue-Thur), joining the real-time training will provide you with guidance and on-going training so you can always get your questions answered. Learn how to gain perspective and attempt to anticipate the up-coming direction of price by following along with the class led instructor. See real-time analysis of multiple markets while learning how and why each strategy is applied. PFA's software has revolutionized the financial industry with technologically advanced algorithms [Adaptive Filtering and Underlying Historical Calculations] that attempt to define "Supply and Demand" locations. The software included in the PFA Pro Trader program will empower you with automated Zones, Volume Analysis, Trend Lines, Trailing Stop, Trend Direction and more! This technology will not only help you reduce subjectivity, it will educate you and simplify the decision making process. 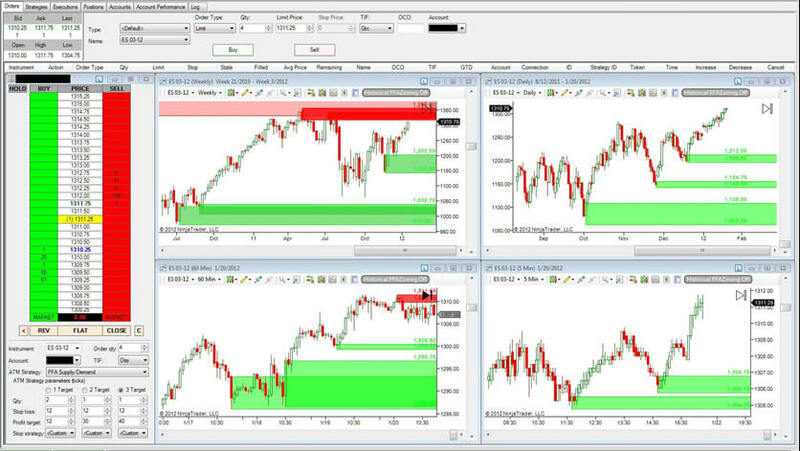 You will learn how to utilize these tools in live markets with real-time trading analysis.